Symbolizing the ideals of freedom and democracy, it is a tribute to four presidents: George Washington, Thomas Jefferson, Theodore Roosevelt and Abraham Lincoln and their invaluable contributions to the United States. 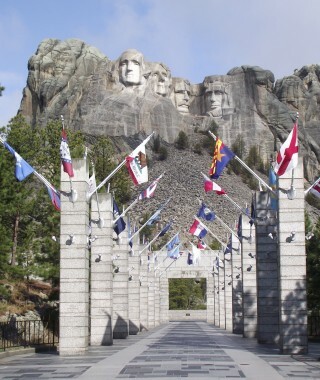 Mount Rushmore National Memorial represents not only the past, but also a promise for the future. 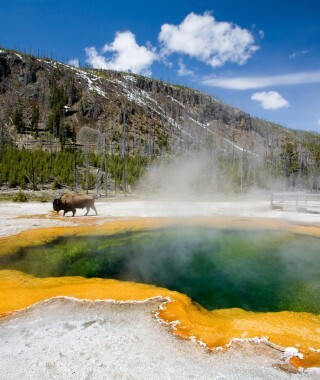 It is a place surrounded by American history, where the names of Gutzon Borglum and Crazy Horse are still heard; where the buffalo once again run free in Custer State Park and the vision of the Keystone miners still cast a dim shadow on long deserted claims. 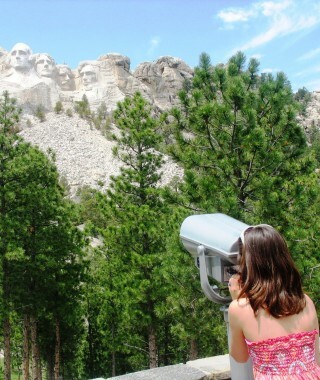 Whether a lifelong destination or a stop on your vacation itinerary, your visit to Mount Rushmore will be one you will tuck in your memory book forever. We are a proud member of the Xanterra Travel Collection. Mount Rushmore National Memorial is part of the Xanterra Travel Collection, which delivers once-in-a-lifetime experiences to the most beautiful places on earth®. Whether you yearn for a luxury sea adventure, a biking or walking vacation in breathtaking destinations, a ride in a fully restored historic train, or unrivaled access to our majestic national parks, the Xanterra Travel Collection’s family of companies will bring your bucket list to life.